The Home Equity Protection Services 100% Home Equity Protection Money Back Guarantee applies to members participating in our $79.95 Monthly Membership Program and remaining an active uninterrupted member for a minimum of 36 months. Cancellation or termination of the Home Equity Protection Agreement prior too or after 36 months voids eligibility. We guarantee that if we cannot recover the out-of-pocket cost of the Protected Value of your home's equity secured under our program, we will refund 100% of the Tier Rate paid for services rendered. The Protected Value (PV) applies to the percentage of the member's home equity Secured and Protected under a HOME EQUITY Protection Services Agreement. ​NOTICE: The 100% Money Back Guarantee does not apply to homeowners who intentionally discontinue making required monthly mortgage payments that may result in a notice of default, foreclosure, or any act or combination of acts resulting in the loss or potential loss of the real property. 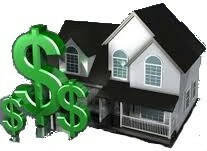 Review your Home Equity Protection Agreement for details.